Sometimes as mothers we just need a chilled day out, something out of the ordinary, something to do aside from the cleaning and laundry, we all need to rejuvenate and “have a day off”! Now that Ethan and Megs are getting older they are BOTH in pre school, they go on a Monday and Friday and these days are cleaning, food shop, laundry, shopping kind of days for me…except this Friday. I am quite partial to obsessed with a good deal and vouchers and so last year when I saw a spa voucher on living social for 2 with a hot drink an pastry for £12 I snapped it up, with the stress of everything I had forgotten about it and received a “gentle reminder” that it expired this weekend (whooopppssss) and so Friday was the obvious day to go as it was kid free day and the household chores would still be there Saturday. Nath is the 2nd of 11 kids and I am blessed to get along with everyone in his fam. In September 2 of his younger siblings came to Leeds for uni and so I asked his younger sister if she fancied it and as it was also her day off from uni and being young free and single she didn’t need a sitter of course it was a definite YES! 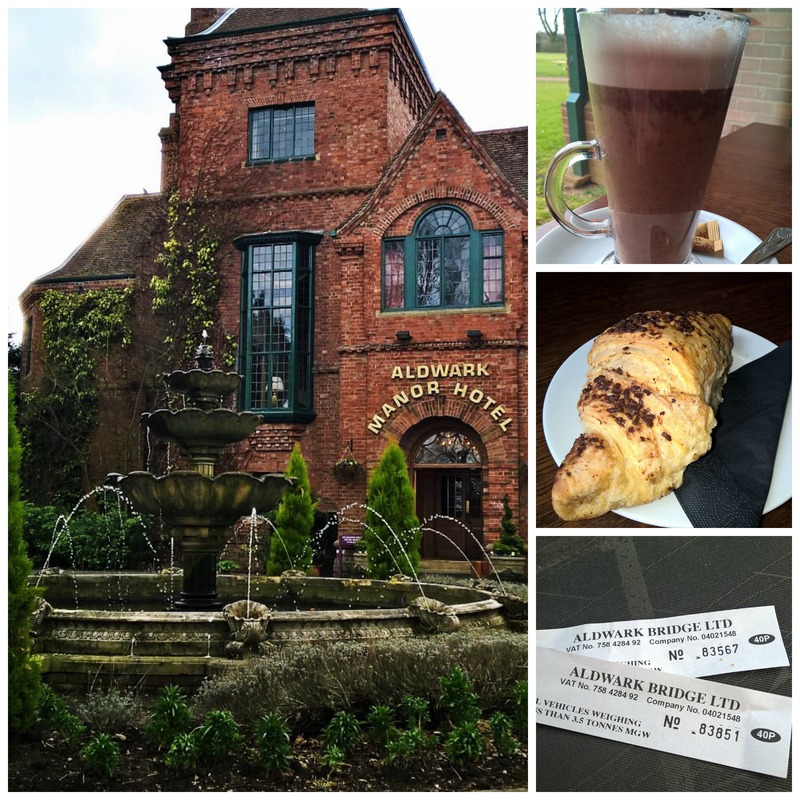 The spa was at Aldwark manor in the most picturesque location which we couldn’t believe was only 40mins from Leeds as it very much felt like we were on holiday. I deffs want to look into a night away here for myself and Mr Smith as its just so beautiful. I love Yorkshire, especially parts like this and in the sun…it was lovely! It was also so nice to chat together and it not be all about kids but just normal stuff, I love laughing with friends and family about kids stuff and we did briefly bring them up but it was mostly about fashion, diets/health, holidays, boys and the usual teen talk – I loved it! 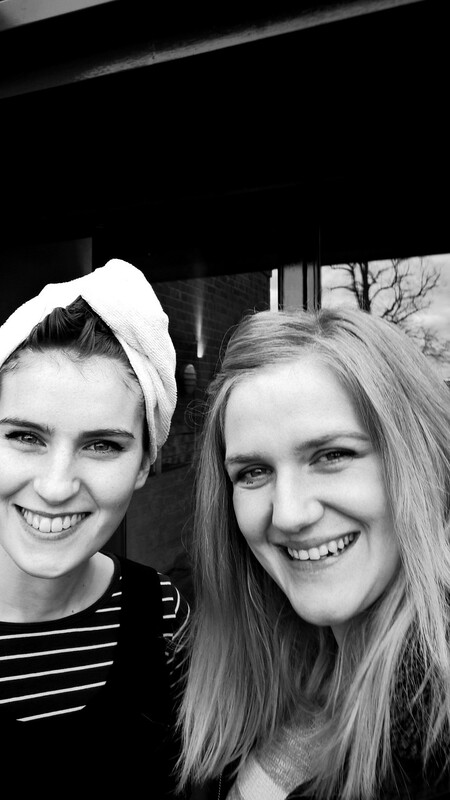 Gorgeous countryside, Swimming, jacuzzi, sauna and a steam room.. followed by hot chocs and a croissant each made for the perfect day off – it was blissful! The most random part of the whole trip that cracked us up was a toll booth near the village that was an extortinate 40p admission – both ways! It was ran by an old man that became irritated with us on the return journey because we didnt realise we needed another ruddy 40p to get out!!!! Overall I had a lovely relaxing day, kid free (well until the school run) and a great catch up with one of my many lovely sister in laws. If you too would like the same experience its back on and deffs worth £12 just can’t guarantee such excellent company! You can’t – it was a really cute place and relaxing!